On Sunday, Jan. 25, two rather interesting posts on Twitter emerged related to the world of James Bond. 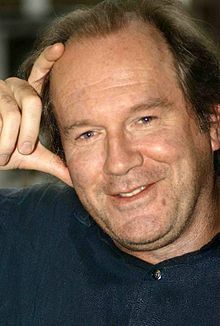 The first was from journalist and author Jeremy Duns. He came across a 1963 story in the Daily Express indicating that, at one time, Bond co-producer Harry Saltzman was interesting in having actor-playwright Robert Shaw script a 007 film. Shaw, of course, played Red Grant in 1963’s From Russia With Love. There are no details about what Bond project this might have been for. Generally speaking, screenwriter Richard Maibaum was close to Albert R. Broccoli, the other Bond co-producer. 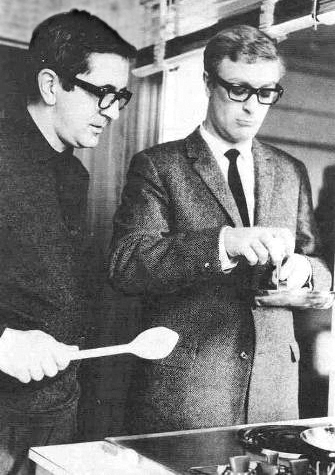 Saltzman was always on the lookout for other scribes, including Len Deighton (who did uncredited work on From Russia With Love), Paul Dehn (Goldfinger) and John Hopkins (Thunderball). 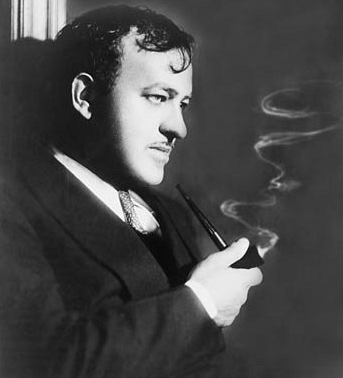 Duns previously has detailed the work screenwriter Ben Hecht did for producer Charles K. Feldman’s ill-fated 1967 Casino Royale film. Duns researched how Hecht had a more serious take in mind. Duns has a e-book on the subject, ROGUE ROYALE. The other Tweet came from Anthony Horwitz, writer of the next James Bond continuation novel coming out this fall. OMG. The Man with the Golden Gun is not good. Just seen the cover of the new James Bond novel. It's perfect. Orion Books really working overtime. UPDATE: Horowitz later engaged in a dialogue with other Twitter users. A new e-book about screenwriter Ben Hecht’s drafts for the ill-fated 1967 Casino Royale movie is now available. The author is Jeremy Duns, who in EARLY 2011 wrote about the scripts by Hecht, one of the best screenwriters of all time, for the U.K. newspaper The Telegraph. 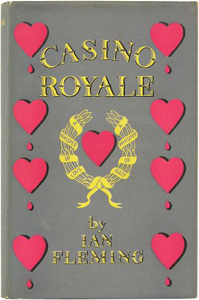 Duns has now expanded his work into the 11,000-word Rogue Royale: The Lost Bond Film by the ‘Shakespeare of Hollywood.’ Hecht did a mostly faithful adaptation of Ian Fleming’s first novel. But Hecht died in 1964 and the writer’s death caused producer Charles K. Feldman to switch gears. 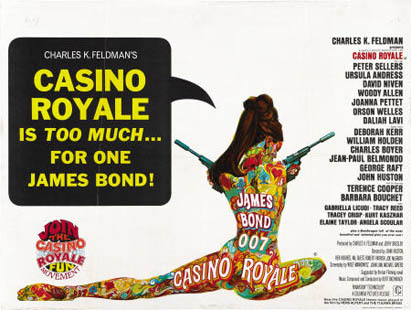 The eventual result was the 1967 spoof, which was expensive to make and generated a fraction of box office of the regular 007 film series produced by Eon Productions and released by United Artists. 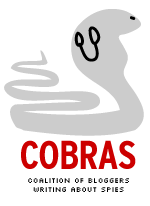 You can check out the e-book at the U.S. VERSION OF AMAZON.COM or AMAZON U.K. Duns also has an entry on his blog about Rogue Royale that you can read by CLICKING HERE. It sounds as if Solo’s story may concern a fictional version of a real war. From 1967 to 1970, THE NIGERIAN CIVIL WAR raged, after the southeastern provinces of Nigeria, a former U.K. colony, seceded to form the Republic of Biafra. (To see a Wikipedia map, CLICK HERE.) Nigeria, with U.K. support, took back Biafra. That civil war also produced MANY DISTURBING IMAGES, including those of starving children. Boyd has written a number of stories set in Africa. A seasoned veteran of the service, 007 is sent to single-handedly stop a civil war in the small West African nation of Zanzarim. Aided by a beautiful accomplice and hindered by the local militia, he undergoes a scarring experience which compels him to ignore M’s orders in pursuit of his own brand of justice. Bond’s renegade action leads him to Washington, DC, where he discovers a web of geopolitical intrigue and witnesses fresh horrors. Even if Bond succeeds in exacting his revenge, a man with two faces will come to stalk his ever waking moment. To view a promotion for Free Agent along with an excerpt, CLICK HERE.